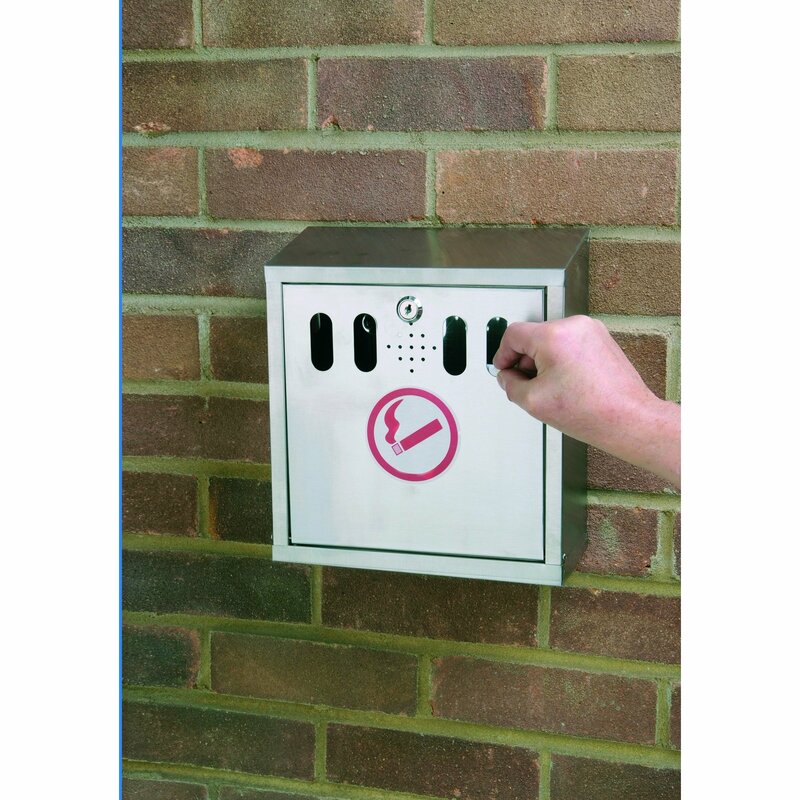 A heavy duty outdoor lockable wall-mounted ashtray for the disposal of hot cigarettes. Made from weather-resistant stainless steel with a 3 litre capacity. With the smoking ban starting in July 2007 have you got all the signs you need? No Smoking Red/White Safety sign, self adhesive. This year in the United Kingdom it has become an offence by law to smoke in all public indoor spaces, including pubs, bars, restaurants and all indoor workspaces. The law came into force on 2nd April in Wales, 30th April in Northern Ireland, and 1st July in England. Members of the public who are caught in breach of this ban by designated public officials will face an on the spot fine of £50. Owners of premises failing to display no-smoking signs will face a fine of up to £1000 also imposed by specially designated public officials. This wall-mounted outdoor ashtray is the ideal solution placed in a designated outdoor smoking area or at all public entrances so that smokers do not drop their cigarette butts on the floor as they enter the building. H:30cm x W:26.5cm x D:9cm.